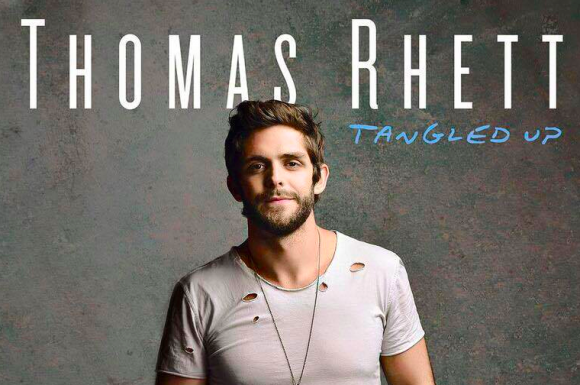 Here is the new romantic single from Thomas Rhett. Thomas Rhett got his new album off to a good start with the number one song, Crash And Burn. He looks to keep it rolling with the second single. From an early listen it sounds like another hit. Let’s give it a hear and see what we think. I think there is a tendency right now in country to kind of turn up the production. Things have gotten a little crazy. It’s all good in a lot of ways, but it’s good to have a mix of all kinds. And for this one Thomas kind of stripped things back a bit. The song feels intimate, which makes sense for a passionate love song. The song and performance feels like a guy that is hanging out with the girl he loves most in the world at night. They’re chilling on the couch, the guy grabs his guitar and starts telling her how he feels about her and about their lives together. And that’s the point of the song. The guy says that he’d be happy all the time as long as he has her. He doesn’t need to go on all kinds of vacations or do anything that other people seem to need. All he needs is to be with her and that would make him a happy man. That’s pretty cool…and it’s so true. If you’re always trying to chase happiness you’ll miss the things that make you happy today. A great outlook on life and love in this song. I think it’ll be a hit. I think it’s going to be a very popular wedding song, Teresa. It would be a great choice.